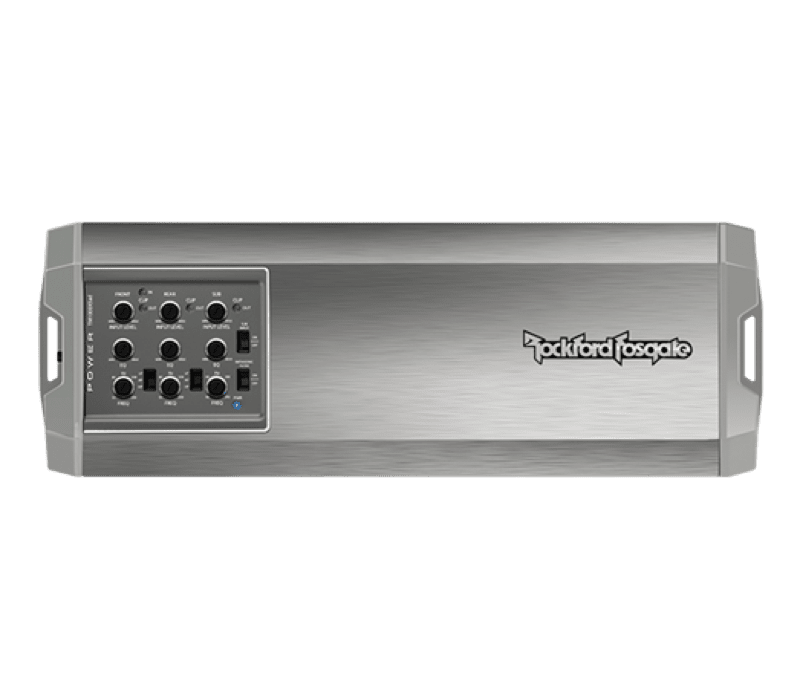 One of our most popular motorcycle audio upgrade solutions here at Nu Image Audio in Salina is the Rockford Fosgate Power Series amplifiers. The Power Series amps not only sound great, but their efficient Class AD design reduces the current draw on your bike’s electrical system to improve longevity and reliability. Let’s take a close look at the Power Series amp and Harley-Davidson audio upgrades we have available. 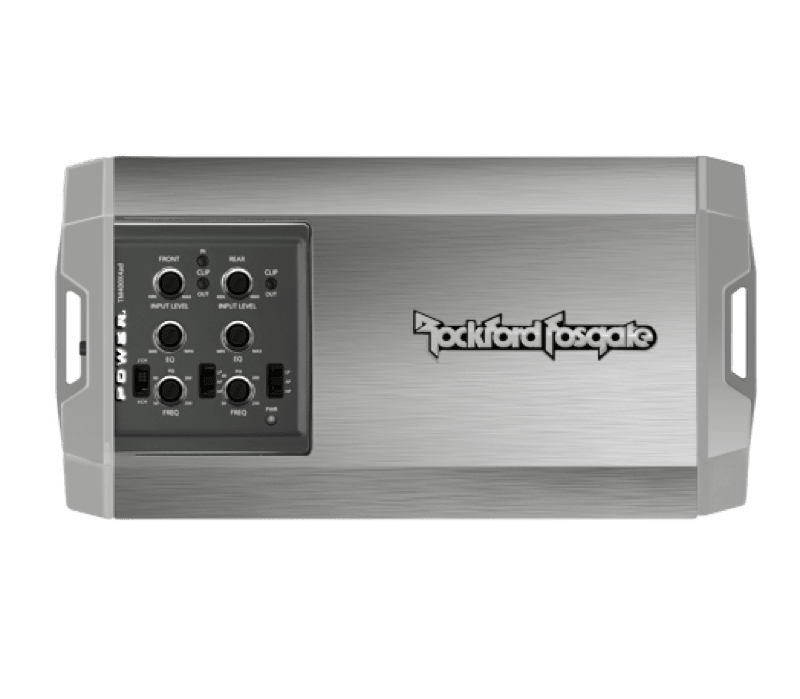 Whether we are piecing together a custom upgrade for your bike or using one of the Road Glide or Street Glide motorcycle audio upgrade kits available from Rockford, the Power Series amps are a key component in ensuring that your bike’s audio system sounds great. The TMX400X4ad is our most popular solution, with its compact size and impressive power ratings. Each channel of this amp can produce up to 100 watts of power into two- or four-ohm speakers, and the amp has a compact footprint that measures a mere 4.3 by 8.3 inches. Originally designed for marine audio applications, the TM400X4ad features an aluminum heat sink, corrosion-resistant hardware and a conformally coated circuit board. Hidden under the fairing of your Harley, this amp can withstand the vibration and environmental challenges common to motorcycle audio upgrades. Because airflow in the fairing is limited, we use the RFKHD amplifier mounting plate in each installation. 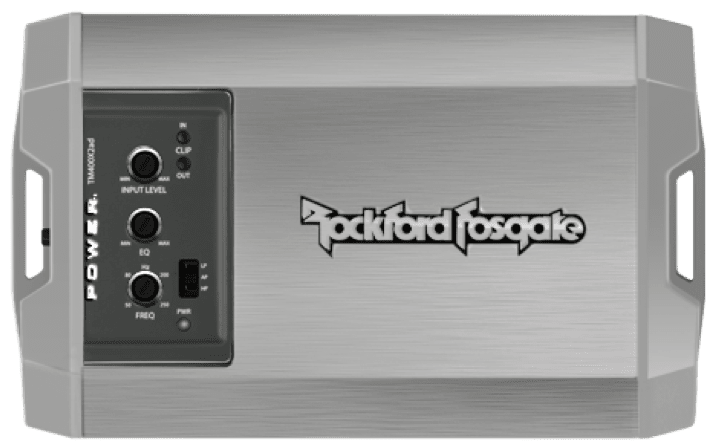 This plate includes an extended heatsink to ensure your amp will stay cool and perform reliably on even the hottest days and with the volume cranked. The mounting and installation kit also includes all of the brackets and wiring we need to upgrade your Harley audio system without the need to cut any factory wires. Harley-Davidson is particular about modifications to factory wiring. Having quick-connect plugs for all the audio connections ensures your warranty will remain intact. If we are upgrading your side-by-side, a golf cart or even your car or truck, the Power Series includes two monoblock amps, a two-channel, the aforementioned TM400x4ad four-channel and a five-channel amp to deliver the power you need so that your music sounds great under any conditions. 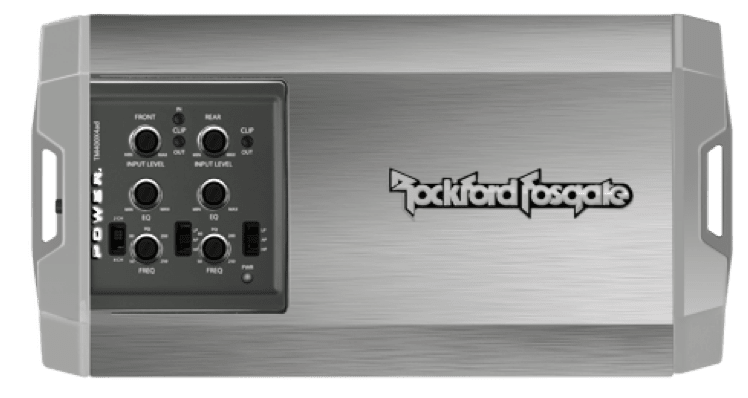 Even the “big” TM1000X5ad five-channel amp is only 12 inches long. All of the amps include built-in crossovers, remote turn-on circuitry for OEM integration and the CLEAN system configuration indicators that identify when the inputs or outputs are clipping. Ensuring that your music sounds great while you’re on a motorcycle or operating a powersports vehicle requires a reliable amplifier and speakers that sound great. The noise from the engine and the wind, combined with the need to wear a helmet, means that your stereo system needs to be able to play at high volumes without distorting. The impressive power capabilities of the Power Series amplifiers, combined with Power Series speakers, ensure that your music will remain crystal clear, even with the volume cranked to 11! Take a ride over to Nu Image Audio and talk to one of our motorcycle sound system upgrade experts today. 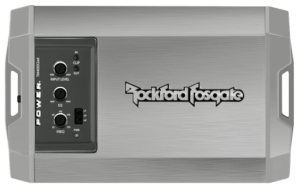 We’d be happy to help design an upgrade solution around the Rockford Fosgate Power Series amplifiers and speakers. For more information, give us a call at 785-309-1617 or send us an e-mail using our online contact page.